These are a few options I know we can take advantage of at the moment. I'm involved in at least 3 out of 4 of these opportunities, so I'm not just preaching. I've actually been doing and they are all proven. 1. You can become bitcoin merchants. This requires a reasonable and sizeable amount of capital anyway. Relate this with all those mallams on the streets exchanging paper currency. They have enough capital base to survive in the money market. One strategy is to buy Bitcoins and keep in your wallet till it appreciates, then sell but that's long term. For short term, you need enough capital. 2.You can get involved in affiliate programs. This is supposed to be the easiest and most straightforward way to make money but a lot of people never want to sell, whereas we indirectly market or talk about something every single day. Network marketing is the business of the 21st century. Build a community, educate them and then you're on cruise control. The larger your community, the more successful you are. This needs to be paid urgent attention in this era. 3. Investing in trusted crypto-trading sites. This guarantees daily returns on your capital. There are a lot of scams out there, so proper research and due diligence are required in this regard. I have a few I've been on for some time and they've been awesome so far. 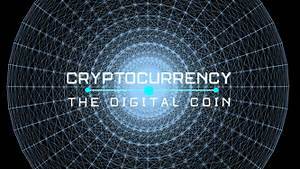 Since most people prefer investments in the now(bitcoin which is already generally accepted and established) than investments in the future (other cryptos with more potential than bitcoin in its early days), it's a good way to start up with cryptocurrency. 4. Investing in some new cryptocurrencies with huge potentials (just like Bitcoin in 2009). This is more of a long term thing and requires patience and positive attitude. Like I said..an opportunity will be revealed in a few weeks..so you can take advantage and not miss out like we all did in 2009. At the end, it is still all about you, as you can have all the knowledge and still not work with it. Then apparently, nothing's going to change! Get to work guys. Study the opportunities, know your strengths or what you can work on, decide on what you want and let's go for it. Anything you decide apart from option 4(which should be compulsory) will still require you create and fund a Bitcoin account. So that will be the next thing we discuss.